It's a Friday and time for a new Left of Center -challenge. 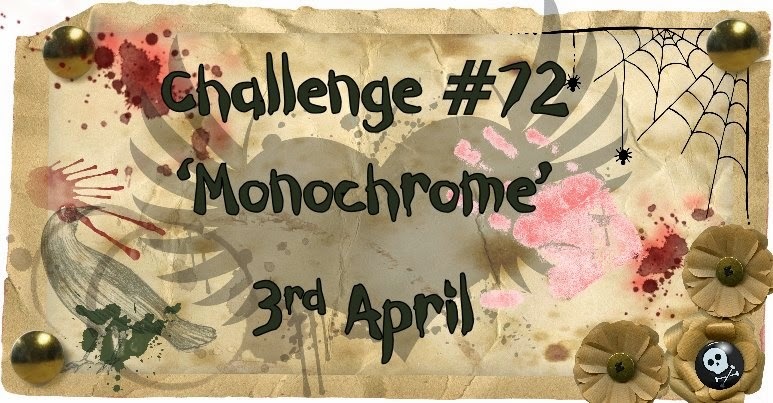 The thing we'd love to see in this challenge is "Monochrome". I added three image to to image, Ike's Sally, sentiment from TLC and a digipaper from ... can't remember really ... All the papers are from same paperpacket and then I just added some die cuts. Pure genius to use an image in this way not to mention inspiring! Sari, I do love this project of yours! 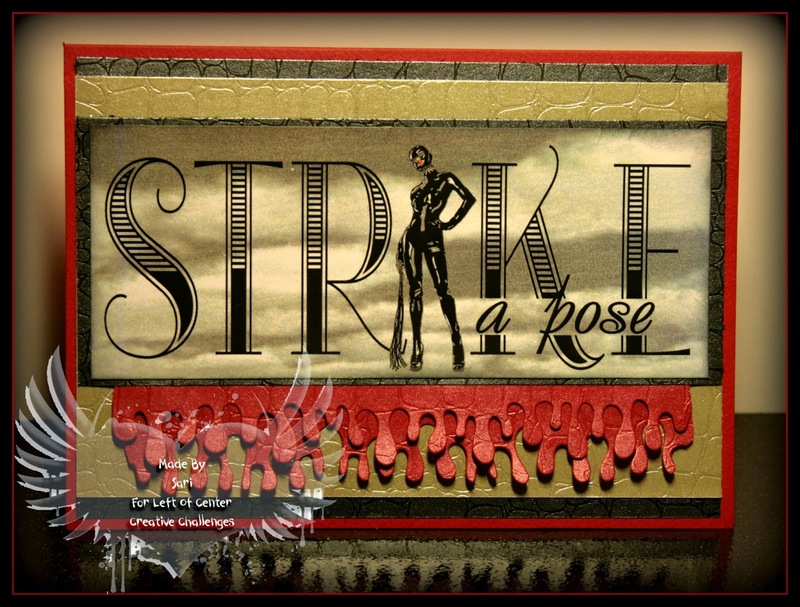 So "striking"...hehe! Fabulous job! Thanks for playing with us at Rosey Hearts this month! ~Nanette, DT~ Hugs! I am loving everything about this! Fabulous details, and so very clever. Thanks for playing in the dungeon with us at HDH.